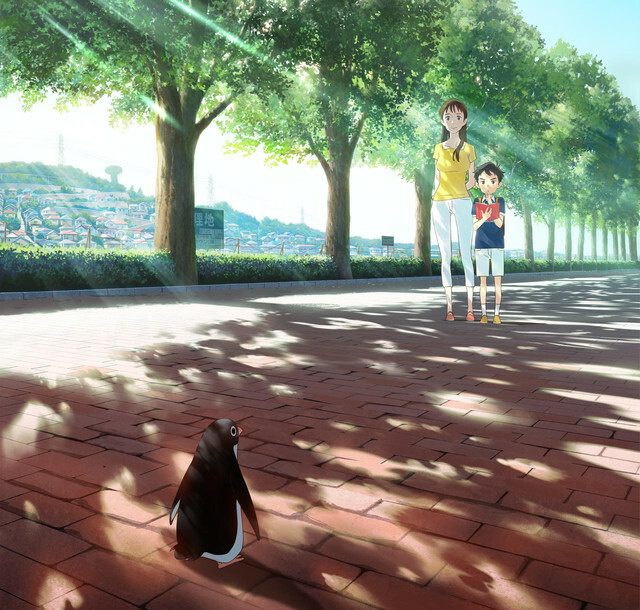 Anime Limited acquires “Penguin Highway”. Coming to cinemas in 2019. Thus far, 2018 is shaping up to be another great year for anime in the cinema, and it’s fair to say that we’ve already screened some great films this year in the form of fan favourites Attack on Titan and Code Geass, while we’re looking forward to bringing you some excellent original film experiences via both Mari Okada’s directorial debut Maquia: When the Promised Flower Blooms (for which you can book tickets now) and Mamoru Hosoda’s Mirai. Such is our drive to bring the best of Japanese animation to the cinemas however, we’re already making plans for our 2019 line-up, which brings us to today’s announcement, as we here at Anime Limited are very proud to announce that we’ve acquired the UK rights to Penguin Highway. This film marks the first feature-length film from animation Studio Colorido (Typhoon Noruda), produced in conjunction with Fuji Television. The film’s story is based on a novel written by Tomihiko Morimi, who you might recognise as the author of Night is Short, Walk on Girl, The Tatami Galaxy and The Eccentric Family, while the movie is directed by an exciting young upcoming director in the form of Hiroyasu Ishida and character designs are provided by Yojiro Arai (whose animation credits include Napping Princess and Flip Flappers). The film premieres in Japanese cinemas in August 2018, while the UK theatrical release is currently scheduled for an as-yet undetermined date in 2019 – however, don’t be surprised if we provide some other opportunities to catch the film on the big screen before 2019 rolls around! Synopsis: “Aoyama is a serious 10 year-old boy who records all of his day-to-day experiences in his notebook. One day in May, penguins inexplicably appear in his home town, despite being located a long way from the sea. When Aoyama sees “Big Sis” – a young woman who works at a dentist’s office – drop a soft drink can which inexplicably turns into a penguin, he decides to investigate and resolve the mystery behind these strange events. Born in 1988 in Aichi Prefecture, Hiroyasu Ishida graduated from the Animation Department of Kyoto Seika University. He has independently produced various animated shorts since his high school days. In 2009, his short movie entitled Fumiko’s Confession drew world attention as it won several awards such as the Japanese YouTube Video Award and a Special Mention at Ottawa International Animation Festival. In 2011, his graduation work Rain Town also won numerous awards including the New Artist Prize of the Japan Media Arts Festival. In 2013, he directed the critically acclaimed short movie Sonny Boy & Dewdrop Girl. Founded in 2011 by Hiroyasu Ishida and Yojiro Arai, formerly of Studio Ghibli, Studio Colorido gathers young and dynamic creators. Although using only digital animation techniques, their works are characterised by a warmth and gentle expression. In 2013, Studio Colorido released its first theatrical short movie, Sonny Boy & Dewdrop Girl, the animation quality of which was highly praised and perceived as very promising. Since then, the studio has worked on various projects including a short animated web sites for YKK in collaboration with the J-pop group Perfume; a TV commercial for the game PUZZLE & DRAGONS, and the theatrical short film Typhoon Noruda. Needless to say, we’ll be sharing more news as and when we have it around Penguin Highway, but it’s all set to be another beautiful, engaging and entertaining addition to our theatrical line-up, so we hope you’re as excited about it as we are!